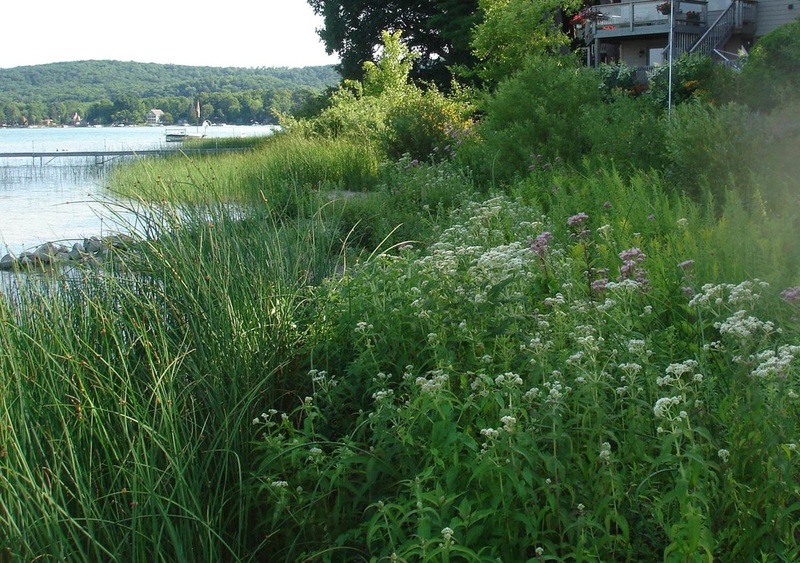 Saturday, July 27th, 9 a.m. – 12 p.m.
Come learn about natural shoreline landscaping and bioengineered erosion control techniques and how these techniques can reduce runoff, deter geese, minimize erosion, and improve fish and wildlife habitat while maintaining anesthetically pleasing access to your lake. Already have rock or sea wall? Learn how to enhance those structures for the benefit of your lake. After the workshop, we will visit some area natural shoreline demonstration projects.